Rep. Cathy Abercrombie with colleagues in House Chamber on Women's Day. 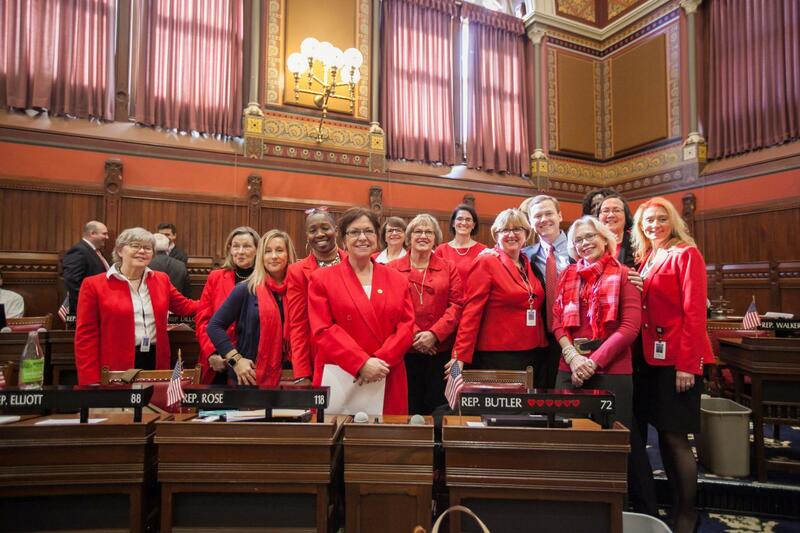 I am pleased to say that women have made significant inroads in Connecticut. However, there is still progress to be made on many issues, including equal pay, paid family medical leave and access to health services. We have to continue to move forward and fight for the basic rights of all women. I am proud to be supporting these bills and will continue to update you on their status going forward. As always, feel free to reach me via email at Catherine.Abercrombie@cga.ct.gov or call me at 860-240-0492 if you have any questions, comments or concerns.